We have made several types of slime, which are made only with white glue, only with glue, and 2 kinds of mixed together. The finished slime has different feelings in visual and tactile sense! In fact, you don't have to prepare so many materials. After the end of this DIY, we feel that as long as there is glue or white glue, plus some saline solution and baking soda powder can complete the slime. The ratio of glue or white glue can be added according to the size of the slime you want. They are a bit like the base. If you just add white glue, the finished slime is white, only glue is added, and the finish is transparent. If both of two are added together, they will be more white. The amount of glue we poured this time is close the size of a palm. After the glue is added, add a little baking soda and stir it. (Note : soda powder is only a little bit) Stirring for about 2-3 minutes, add saline solution slowly, feel the viscosity while stirring, and add saline solution if you feel too sticky. The main function of saline solution is reduce the viscosity of slime, baking soda powder helps to solidify slime, but how do you know that you are almost finished? When you stir , you can gather the slime around it without sticking, it means you have succeeded! Shaving foam: can be used instead of saline solution, but the completed slime will have "man's taste"
The sealed container is used to save the slime. Although slime is not clay, it will slowly Harden with the air. Just like the mix of Daiso clay, the light clay and slime retain the slime's ductility, but it doesn't stick to the table or carpet. It is the best clay to mix with slime. The mixing process is harder than light clay and requires a lot of strength to mix. The finished slime will have more fibers, just like paper clay. oil modeling clay is oil based. It need to takes a long time and difficulty mix . Because of the oil based relationship, the finished slime is a little like a "rubber band”. The effect of the two slime is similar. The finished slime is more sticky than the original. Cream clay and resin clay are still suitable as hand-made. If you don't want to be blame by your parents, remember do not to use these two kinds of clay to mix slime. Wood clay has a few of woody fragrance. It need to takes longer time to mix than light clay. If you feel a bit soft during the process, you can add saline solution to help mix. As you often see on youtube, the slime with the styrofoam ball, the mixing process is very easy, and it won't stick to the table or the carpet. It is as good as the light clay. 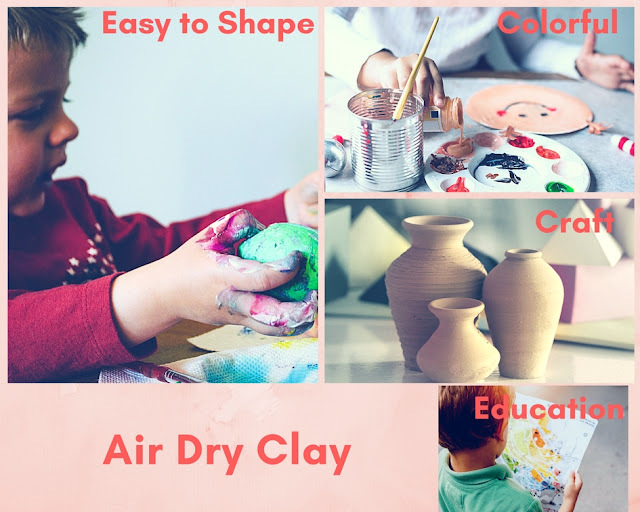 The above is our DIY experience, welcome to leave a message on your production process or ideas, you can also share your work, let everyone know that the world of clay and slime is very colorful. If there is any clay you want to mix this time, but we didn't mention it, welcome send the private message to us. We will do it again after collecting everyone’s opinions. We will also broadcast live on IG, FB. Remember to follow us! what kinds of clay could be mix with slime?